الخيار الأفضل للحصول على المتعة والاسترخاء، Metro Advance Apartments & Hotel Darwin يقع في منطقة رائجة من أفضل مناطق المدينة. يمكن من هنا للضيوف الاستمتاع بسهولة الوصول إلى كل ما تقدمه هذه المدينة النابضة بالحياة. سوف يعشق النزلاء موقع هذا الفندق، فهو قريب من أهم المعالم السياحية في المدينة . كما يقدم Metro Advance Apartments & Hotel Darwin الكثير من الخدمات لإغناء رحلتك في المدينة. لضمان راحة ضيوفه، يقدم الفندق الخدمات التالية: واي فاي مجاني في جميع الغرف, توصيل من البقالية, خدمة غسيل ذاتية, مجهز لذوي الإحتياجات الخاصة, مرافق مخصصة لذوي الاحتياجات الخاصة . 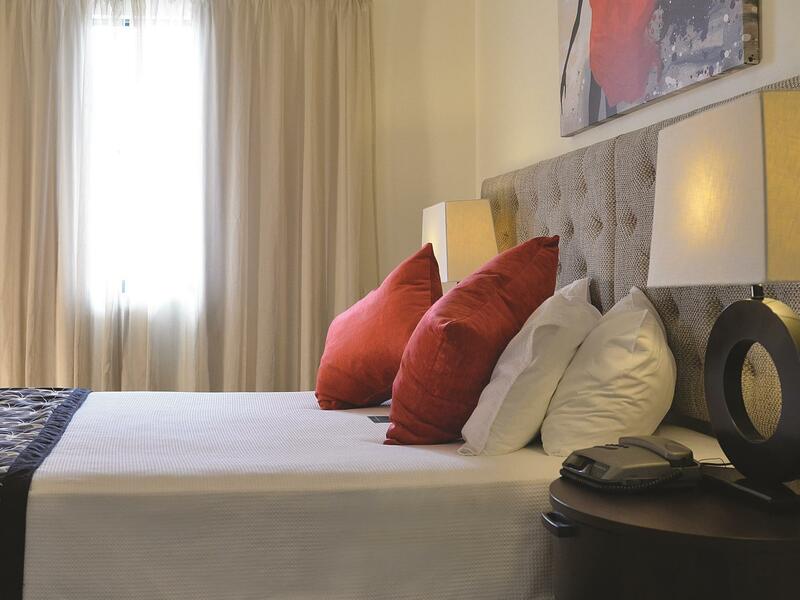 تنعكس أجواء Metro Advance Apartments & Hotel Darwin في غرف الضيوف.تلفزيون بشاشة مسطحة, حمام إضافي, مرحاض إضافي, سجاد, رف للملابس هي بعض الميزات الموجود في العديد من الغرف. كما أن مجموعة الخدمات الواسعة الموجودة في الفندق لضمان راحتك تترك لك الكثير من الخيارات لقضاء وقتك أثناء فترة إقامتك. استمتع بخدمات لا يعلى عليها وعنوان ذو اعتبار في Metro Advance Apartments & Hotel Darwin . this was great location and we had a overnight parking in front of the door. Pool was great. The studio was large enough for us. 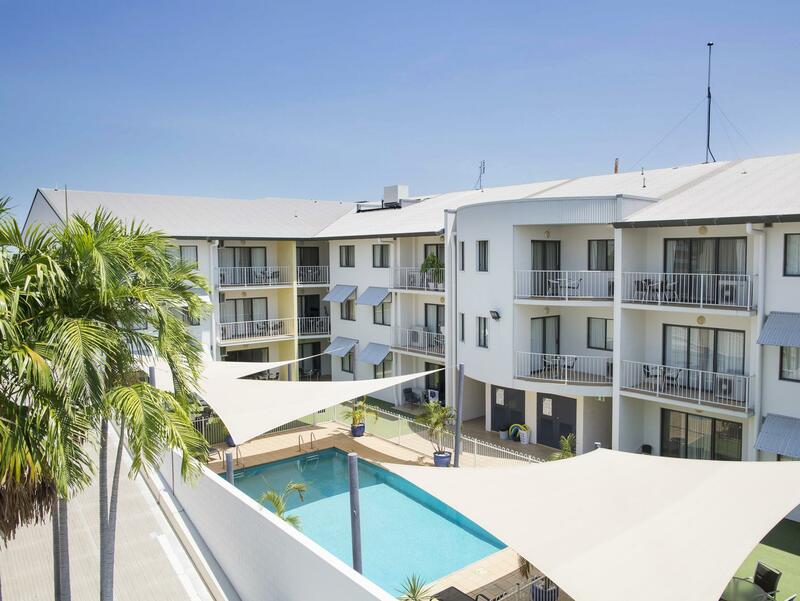 Comfortable and spacious, well equipped apartment right in the middle of Darwin yet very quiet and peaceful. Secure, easily accessed parking at minimal cost. Great staff, couldn’t fault it. I was amazed at the reasonable price. Stayed in a 2 bedroom apartment on the 2nd floor overlooking the pool. 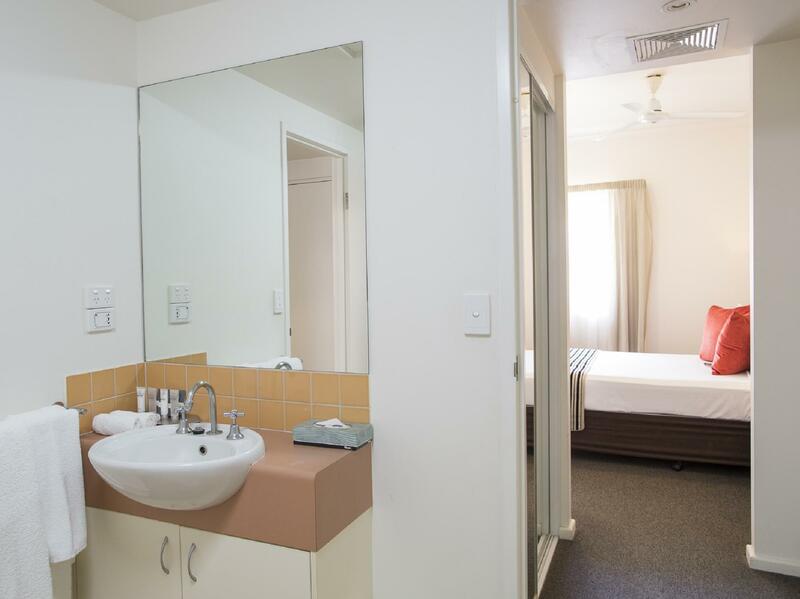 It had 2 bathrooms and every facility one could need including dishwasher, washing machine and dryer, coffee plunger, full crockery and glassware. Very comfortable beds! 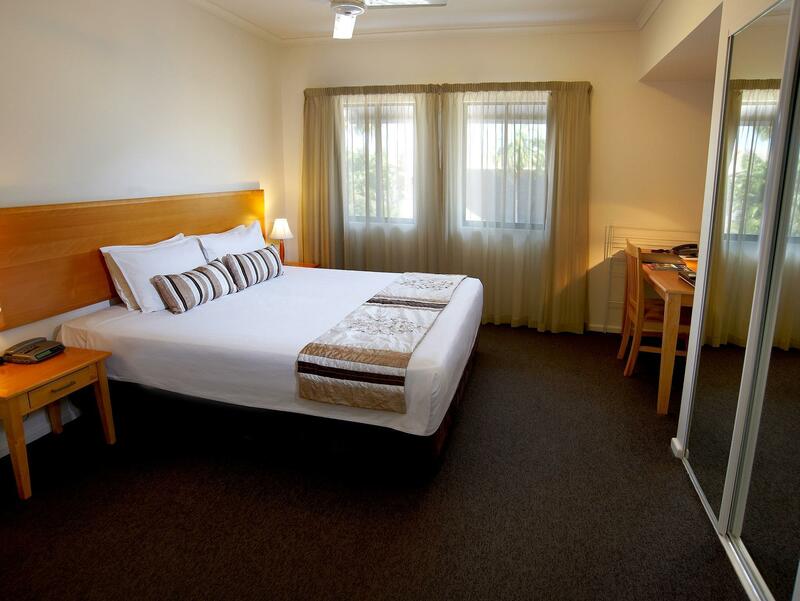 Close to public transport & Woolworths supermarket. Staff were friendly and helpful, location and access to shops transport was fantastic. Would stay again! Apartment was well layed out and adequately met my needs. The reception staff were friendly and nothing was too much trouble. Enjoyable, close to buses and shopping, no complaints. Problems were a very hard bed and I was placed alongside a side street which is an unloading bay for businesses across the street. At 5 am including on a Sunday I was woken by reversing noises and unloading of goods by trucks with engines running. I doubt this a problem in every room but I was on the first floor and along the loading bays. Excellent. Would definitely go back again. The staff surpassed my expectations. Friendly, welcoming and helpful. Felt like family. Would highly recommend. 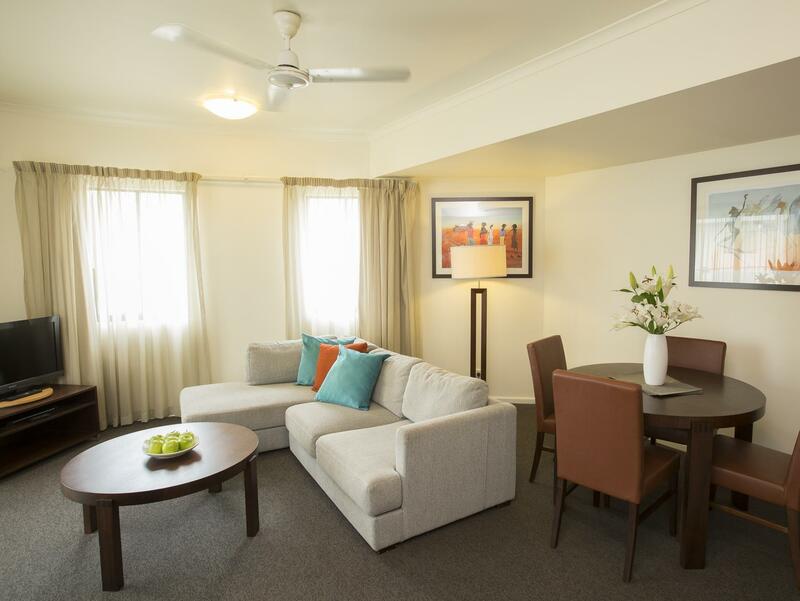 It was a pleasant stay at Quest Darwin Apartments as the location is good. Very near to Woolsworth Supermarket. Walkable distance to the city centre. The staff were also friendly and helpful. 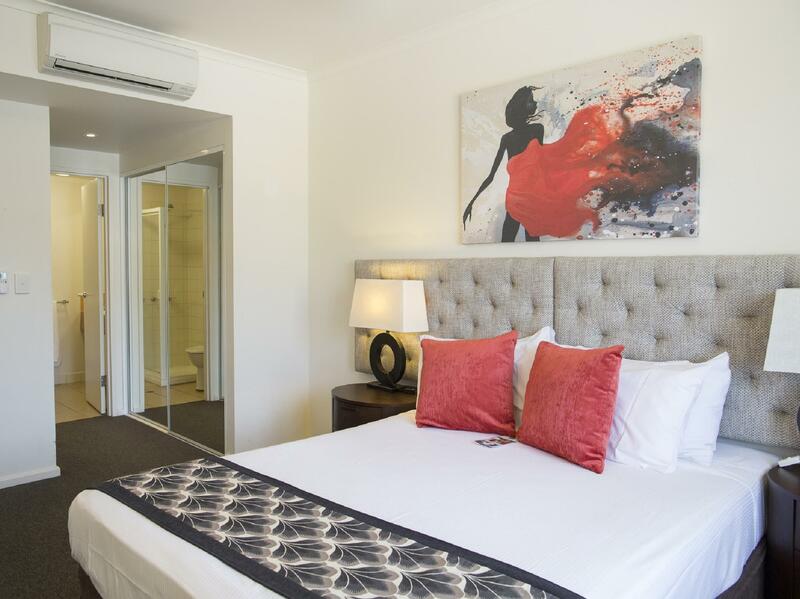 The 2 bedroom apartment is cozy and clean with well-equipped kitchen. The only problem was the poor connectivity of the Wifi in the rooms.